Just like carrots and sweet potatoes, pumpkins are rich in beta-carotene. One cup of pumpkin can give you 200% of your recommended daily vitamin A intake. Pumpkin’s vitamin A and carotenoids help to curb the risk of certain kinds of cancer, like lung cancer or prostate cancer. Carotenoids are linked to lower risks of stomach, throat, pancreas and breast cancers. Boost your immunity-pumpkins also offer vitamin C, vitamin E, iron and folate- all of which strengthen the immune system. 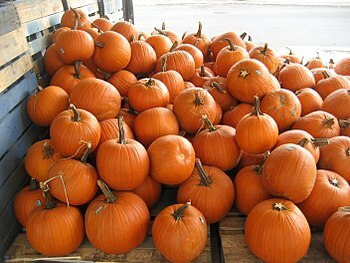 Pumpkins rich orange color is also a sign it is packed with potassium, crucial for lowering blood pressure. Potassium also increases bone density. Trim your tummy- pumpkins are also high in fiber which may suppress your appetite. Your odds of heart disease go down as fiber intake goes up. Pumpkin is packed with nutrients and yet has under 50 calories per cup. This makes it a nutrient-dense food. Pumpkin seeds have tryptophan, an amino acid that help make a chemical called serotonin-this promotes good sleep. Soothes skin- the antioxidant power of beta-carotene combats the effects of aging on skin. That big slice of pumpkin pie on Thanksgiving or the pumpkin Latte at the coffeehouse don’t count as beneficial pumpkin. Experts say to avoid the sugar and processing of baked goods or pumpkin flavorings. Instead opt for more wholesome choices like roasted pumpkin, pumpkin puree, pumpkin hummus or pumpkin soup. Pumpkin, once sliced and cut, can be easily roasted, puréed into soup or baked. Its seeds are also edible and highly nutritious.